Shakespeare is regarded as the greatest writer in the English language and the world's best dramatist. His plays have been translated into every major language, and are the most performed ever. His work contains stunningly modern insight, witty jokes and soaring passion; it is an endless source of amazement and inspiration. A Midsummer Night's Dream is one of Shakespeare's most popular works for the stage, widely performed across the world. It is a comedy about the fantastic events surrounding the marriage of the Duke of Athens. The fairies inhabiting the forest in which the play is set keep playing tricks on the actors, putting every character's true nature in a crude and funny light. 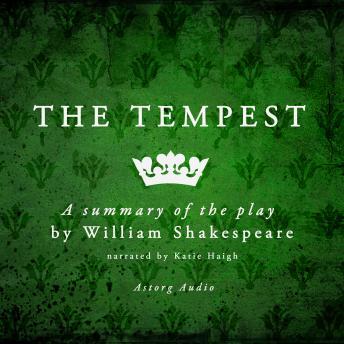 This lively adaptation is a convenient summary meant to bring to you Shakespeare's magic in an actual, clear and precise way; recorded by the greatest storytellers, it will bring to you the fundamentals of English culture in a most enjoyable format.